Normally we are able to assist with this issue given that the device is under the warranty period and that no other exceptions apply. If support is not able to help, it’s probably because they really don't have the means, not because they don’t want to. 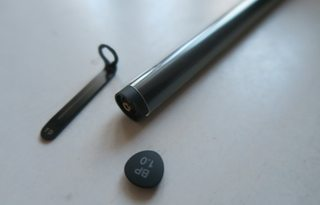 I have a similar issue with the Bamboo Finetip Pen, purchase from the Wacom E-store. 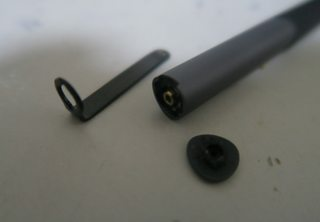 At arrival of the pen the ink cartridge was completely dried out. So the next step is to take that pen out and put in a replacement. Using the special ring which came with my Bamboo Slate the only thing that came out of the pen was the tip, the shaft was stuck in the pen. Assuming that the dried out/ ran out ink had cluttered it in the pen. At first I had a very decent conversation with the support team and the said that I needed to return the pen in order to get a replacement. So I did and sent and paid €16,- to get the parcel to Germany- Mönchengladbach to the service center. And then it got very quiet from the support side. After some mails asking what the status was I got the the reply that the service center didn't released any out going order for the replacement. That was weeks after purchasing the pen and one month after it was delivered and returned in the same week. So this made me questioning the after sales procedure of Wacom. Every e-commerce company offers free of charge return when the defect is accepted, the applied condition is very outdated for a such a tech company. But ok, after another week of no status I sent a mail again and got a reply from somebody else who gave my an answer that obviously showed that he didn't read the previous mails. So, I expressed my agony about the way things are handled and then the line was dead. It is now 2 weeks with out any reply and what happened? UPS showed at the doorstep with a parcel from Wacom. Nobody had informed me it was coming from the support department. Should I be happy? No way, they just send another fine tip pen which is dried out and the ink cartridge is stuck again. And yes I replied by mail to my "contact" who is not responding after 5 working days. Just to give you an impression: the pen was about €45 and now cost €16 more for shipping cost back. It is 3 months after purchasing and paying. No replay from Wacom and I assume that I need to contact Support again and have to beg for a refund. Ending up with a broken pen that cost me €16 and a great distrust in the Wacom company police regarding after sales and customer service. I wonder if they will ever help you out with your pens? Very sorry to read this. We had some issues with stock and I suppose this is why it took so long to ship the replacement. You should have been informed about this. The replacement you received shouldn't have the same issue. I will pass the feedback along to the team and ask them to follow up as soon as possible.